Located near Hickory, North Carolina, the heart of the furniture belt, Custom Educational Furnishings "CEF" has been hand assembling furniture for over 40 years. Precision Materials, a manufacturer of home furnishings for IKEA and other large corporations such as Leggett & Platt & Kesseboehmer acquired CEF in 2014 to enhance its manufacturing and product-offering capabilities. CEF and Precision Materials have combined their resources and experience to offer innovative & aesthetically pleasing product lines including charging carts, classroom furniture, makerspace & STEM related furniture, tables, and lecterns; each thoughtfully designed with both teacher and student in mind. At CEF, we take great pride in producing makerspace, next gen and technology furniture for the classroom that accommodates specific needs, that is affordable, and that is built with quality and functionality in mind. We have a trained and dedicated team that hand assembles all offered products while providing convenient lead times and door-to-door delivery service in the Southeast. 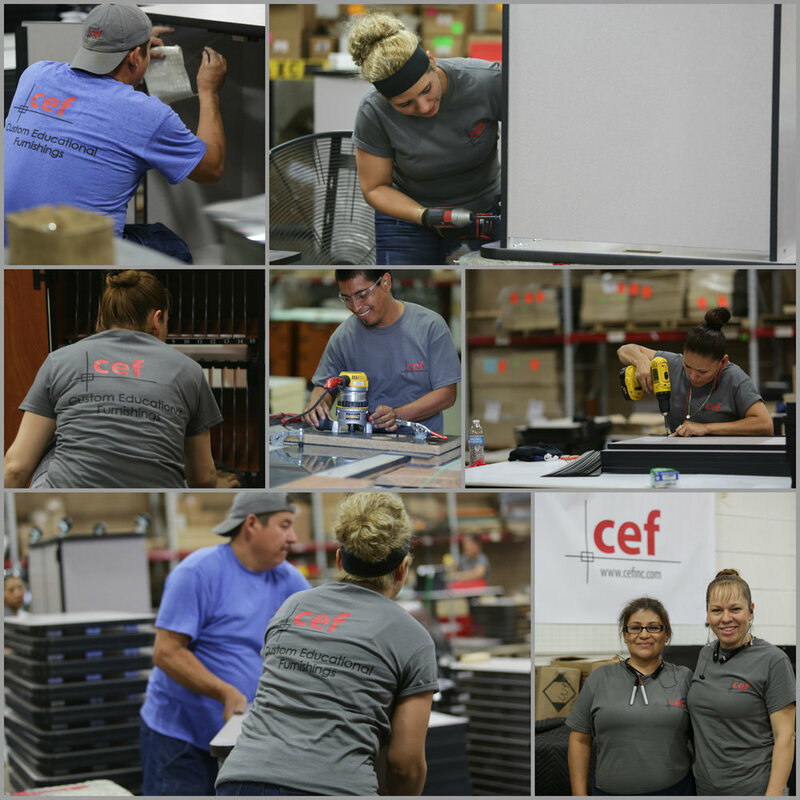 We are proud of our product lines and the employees that make CEF a driven, genuine company. Our factory doors are always open for site visits and we invite you to experience the success that is Custom Educational Furnishings.